If you leave your pets alone for any given amount of time then you know just how important it is that they have something to play with to keep them occupied. As a dog and cat owner I've learned this first hand. If our pup has a toy to play with and something to chew on she's happy. But if you leave her alone for an extended period of time with nothing to keep her occupied that's when she starts getting into things, and chewing where she shouldn't. I know for me hearing the constant sound of a dog toy squeaking is one that makes me cringe. 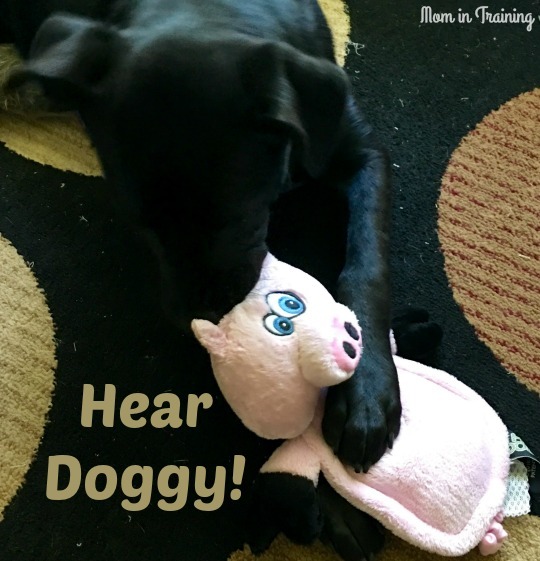 So when I got this cool "squeak-less" dog toy from Hear Doggy I was pretty excited. 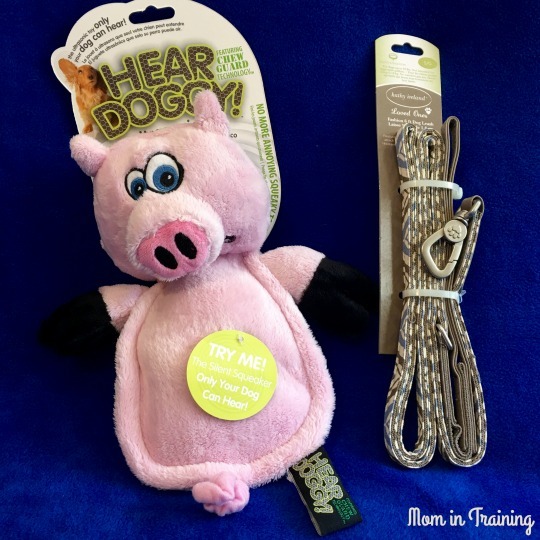 It has an ultrasonic squeaker inside that only a dog can hear. My dog seems to really enjoy playing with it, and I don't have to hear a sound! Now that's a win-win in my book. I also received a really nice looking leash from the kathy ireland® Loved Ones® line. Of course it's a bit of a different story with cats, they are pretty much self entertained as long as they have some sort of toy to bat around on the floor. Well, at least most cats. I have one that seems to think he is part toddler and needs constant attention and interaction. Toss him a stuffed mouse and he's only content for a few minutes before he's back again. 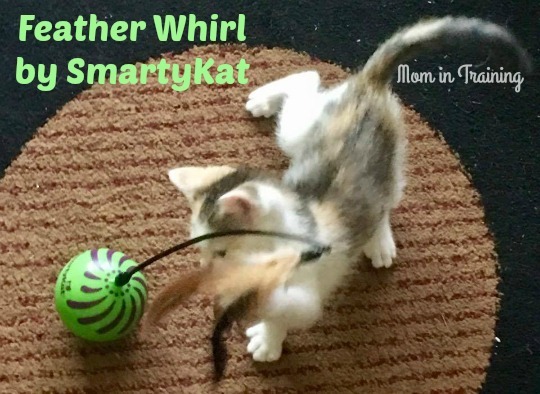 Thankfully there are motion activated toys out there to help a pet parent out like this Feather Whirl from SmartyKat. It's super cute and my kitty really has a good time chasing around the feather as it "whirls" around. Great for keeping your cat entertained and active. When thinking about all of the cat toys out there these days it really does amaze me. Take for example all of the ones in this photo from SmartyKat. You have everything from your standard catnip filled toys to a wand with toys dangling from it to a paper bag infused with cat nip. Now that's a fun one to watch your cat go crazy over. We fostered some kittens not long ago and it was a ton of fun watching the two of them fight over getting inside the bag. All in all being a pet parent is a lot like having a toddler..they need lots of attention, and like to leave their toys all over the floor. So make sure you're ready with plenty of toys for them to play with and keep them active and happy.